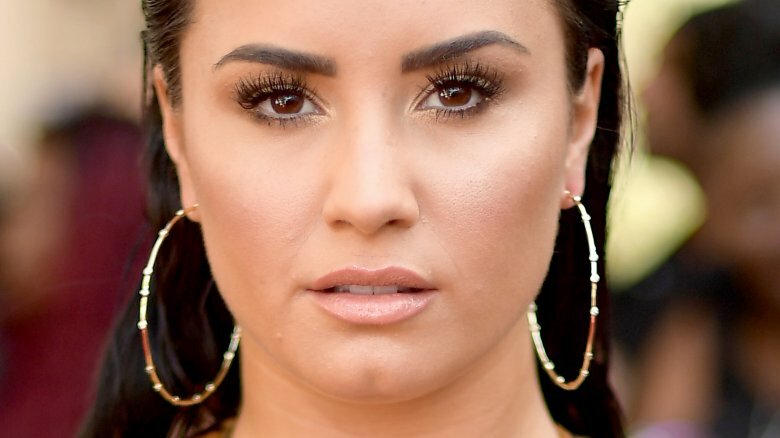 Demi Lovato was hospitalized at approximately 11:00 a.m. on July 24, 2018, with sources telling TMZ that they suspect the "Confident" singer suffered from "what appears to be a heroin overdose." However, insiders "extremely close" to Lovato insisted to The Blast that whatever she suffered from, it was not due to heroin use (though other opioids were not ruled out as of press time). She was reportedly unconscious when paramedics arrived. An ambulance reportedly transported the former Disney star from her Hollywood Hills home. The Los Angeles Police Department confirmed that a 25-year-old female was hospitalized for an undisclosed medical condition but did not reveal the identity of the woman in distress. However, law enforcement sources told TMZ that Lovato was treated at her home with Narcan, which is used for overdoses of narcotics, including heroin or Oxycontin, the latter of which she'd previously admitted to abusing. The overdose reportedly occurred in her house. Insiders also told TMZ that Lovato partied with friends the night before and seemed to be in good spirits, even posting photos from her outing onto a private Instagram account she only shares with family and close friends. The good news, as of this writing, is that Lovato's rep confirmed to TMZ that she is "awake and with her family who want to express thanks to everyone for the love, prayers and support." While we wait for more updates on her condition, here's everything we know about Demi Lovato's alleged overdose. A source told Us Weekly that Lovato had, as TMZ reported, been partying with friends the night before her overdose — and her friends saved her life. "One of her friends had Narcan on hand in case something like this happened," the source said. "Her friends knew this was coming because she's been using so much again. … Luckily, the Narcan worked and she will recover." The source noted that two of Lovato's friends who were at home with her called 911. "They were hysterical when paramedics arrived and Demi was unconscious, but the friends acted very quickly and saved her life." However, insiders also told The Blast that Lovato and her friends weren't cooperative when paramedics arrived and wouldn't say on which or what kinds of drugs Lovato allegedly overdosed. Sources also told Us Weekly that Lovato is going to be okay. Her aunt, Kerissa Web Dunn, announced on social media (via TMZ) that Lovato was "awake and responsive" in the hospital. In her heartbreaking ballad "Sober," released in June 2018, Lovato revealed that she had relapsed, singing, "To the ones who never left me / We've been down this road before / I'm so sorry, I'm not sober anymore … I'm sorry that I'm here again / I promise I'll get help / It wasn't my intention / I'm sorry to myself." Lovato didn't comment further on her slip from sobriety, except to say in the days leading up to the song's release that she would soon reveal her "uncomfortable and shocking truth." Sources told Entertainment Tonight at the time of the "Sober" music video release that Lovato had began drinking again, with insiders confirming to People that her relapse began with alcohol abuse — and that those closest to her saw her overdose coming. 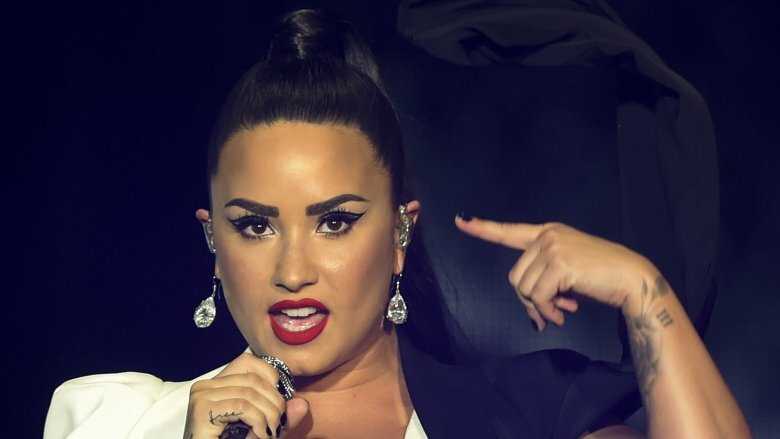 The insider claimed that "for a few months," Lovato felt that she was keeping her initial alcohol use "under control," which seemed like "proof" that she had a handle on her addictions. Unfortunately, that control didn't last long. "Start using again and it's a slippery slope right back to rock bottom," the insider said. "The minute she started using again, the clock was ticking down to this exact moment." 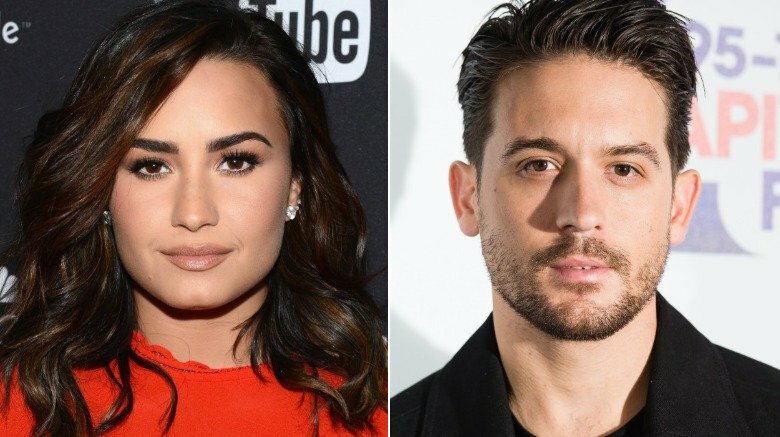 A red flag for many Lovatics was when Lovato was spotted holding hands with rapper G-Eazy during a late-night outing to a Los Angeles nightclub earlier in July 2018. Spies told Radar Online that Lovato and G-Eazy arrived at the club at 1:00 a.m. and left together at about 2:30 a.m. This was concerning to many, as G-Eazy is an alleged cocaine user, alluding on The Breakfast Club about using the drug with then-girlfriend Halsey while yachting in Miami. On top of that, the "No Limit" rapper also has a criminal record related to illicit substances. In May 2018, he was arrested in Sweden after being busted with two bags of cocaine and a rolled up $100 bill following a brawl in a nightclub. Radar Online reported he was released after being convicted of assault and drug possession and was sentenced to two years of probation and to pay restitution. Despite the hand-holding, G-Eazy later told Entertainment Tonight that Lovato was "just a friend." Sources told The Blast that Lovato was allegedly uncooperative with police and refused to tell first responders what drugs she used when she overdosed. Law enforcement insiders told the site that police on the scene found "drug remnants" but couldn't immediately determine what kind of drugs were involved. Paraphernalia found on the scene was allegedly inconsistent with initial reports that she had overdosed on heroin. The Blast also claimed that an incident report taken at the hospital indicated that a nurse told police Lovato had been using methamphetamine before she overdosed, though it's unclear how the drug was allegedly administered. However, methamphetamine is not an opiod, so that wouldn't explain why Lovato was allegedly treated with Narcan, a drug used to counteract the deadly effects of an opiod overdose. In any case, Lovato will not be charged with a crime related to the incident because, according to law enforcement sources, it was a medical emergency and not a criminal allegation. 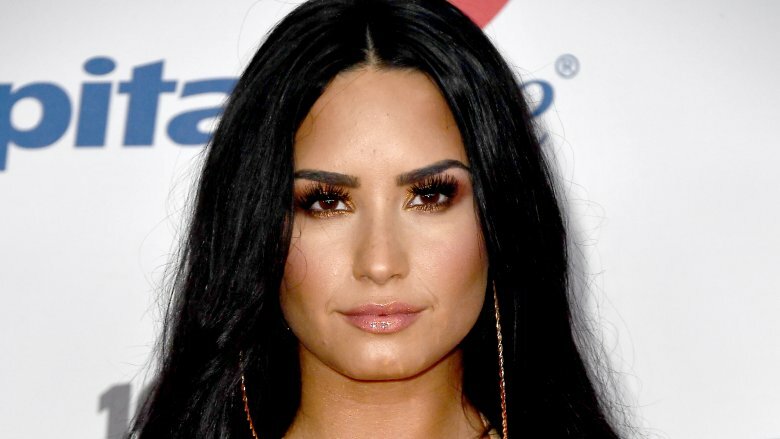 Sources close to Demi Lovato believe her relapse may have been triggered, in part, by the singer spending too much time with negative influences and drug users, including allegedly dating someone who wasn't sober. An insider told Entertainment Tonight, "It seems like most of the people who witnessed her drug use and/or participated are now nowhere to be seen. She was dating someone who her family didn't approve of and they wanted her to stay far away from him…" The source added, "She was not partying alone. Her family and friends, who weren't involved, fear she's been hanging with people who support her drug habit." Lovato's longtime friend, guitarist Mike Manning, threatened to expose the identities of those who were with Lovato the night she overdosed, reported the Daily Mail. 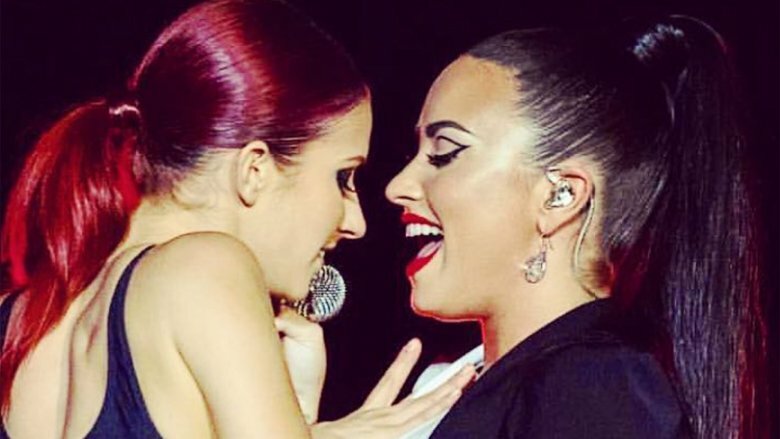 According to Radar Online, rumor has it that Lovato may have been partying to celebrate the birthday of backup dancer Dani Vitale (pictured left). Just two days before Lovato was hospitalized for her overdose, she performed at the California Mid-State Fair with her bestie, rapper Iggy Azalea. During Lovato's performance, she forgot the lyrics to "Sober," reported Entertainment Tonight. In a video posted to Instagram, Lovato steps back from her microphone, and at first it seems like it could be for dramatic effect … until she says with a chuckle, "F**k, I forgot the lyrics!" A concert attendee told the site that Lovato "didn't seem under the influence," adding, "I think it was because it was a new song and she was emotional. That is why she forgot the words. As a fan, that made her seem more human. We all make mistakes…"
Extreme measures are being taken to ensure the singer's privacy and safety as she recovers from her overdose at Cedars-Sinai Medical Center in Los Angeles. "The hospital has placed two security guards outside of her room and has been instructed to not let anyone that Demi's mom hasn't approved to visit her," an insider told Us Weekly. "The entire floor is basically on lockdown with the rooms next to hers remaining vacant to give her the upmost [sic] privacy." E! 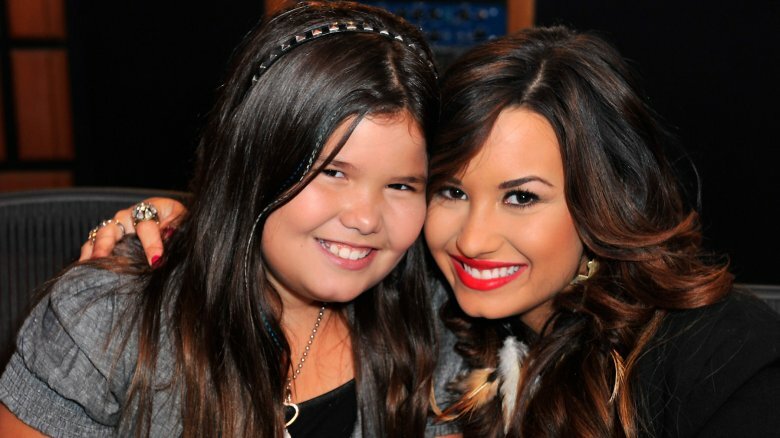 News reported that Lovato's mother, Dianna De La Garza, as well as her older sister, Dallas Lovato, and younger sister, Madison De La Garza (pictured), have been a constant presence at the hospital. Radar Online reported that Madison was also spotted leaving Lovato's home. It's unclear when the "Heart Attack" singer will be discharged from the hospital or where she'll go once discharged. 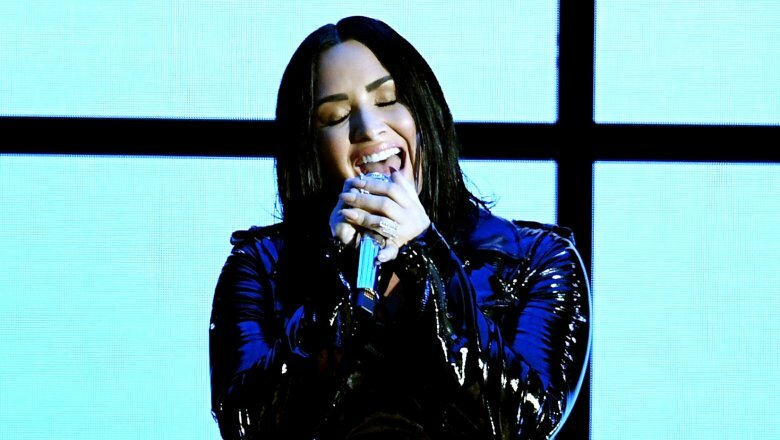 In March 2018, Lovato marked six years of sobriety onstage in a moving speech. "Yesterday, six years ago, I was drinking vodka out of a Sprite bottle at nine in the morning, throwing up in the car and I just remember thinking, 'This is no longer cute. This is no longer fun. And I'm just like my dad,'" she recalled. "So I made changes in my life. The reason why I became so open about my story is because I know that there are people here tonight that need to ask for help and I want them to know that it's okay." Lovato also celebrated the milestone on Twitter, writing, "Just officially turned 6 years sober. So grateful for another year of joy, health and happiness," she wrote. "It IS possible." She also opened up about her sobriety during a visit to Good Morning America to help promote her mother's book, Falling with Wings: A Mother's Story. "One of the reasons I stayed sober is because I want people to know that it is possible for you to get help and to recover," Lovato said. "It's something that's very important, that people know that you're able to ask for help these days and people will help you." 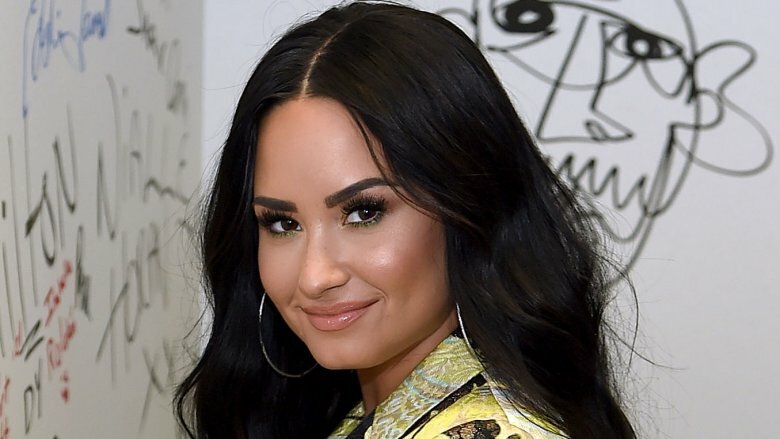 When Demi Lovato dropped her song "Sober" in June 2018, Page Six revealed that she had unfollowed her sobriety coach, Mike Bayer, who was also her partner at CAST Centers, a mental health clinic she co-owned. A source close to Lovato told Radar Online that Lovato had "gone off the rails … She's completely dropped her family members, friends and everyone in the sober community, including all of the people at CAST. And now she is cutting off her staff who have worked with her forever." The source also fumed that Lovato was "making money off her relapse" with the release of "Sober," adding, "She does not have a game plan to get clean right now." 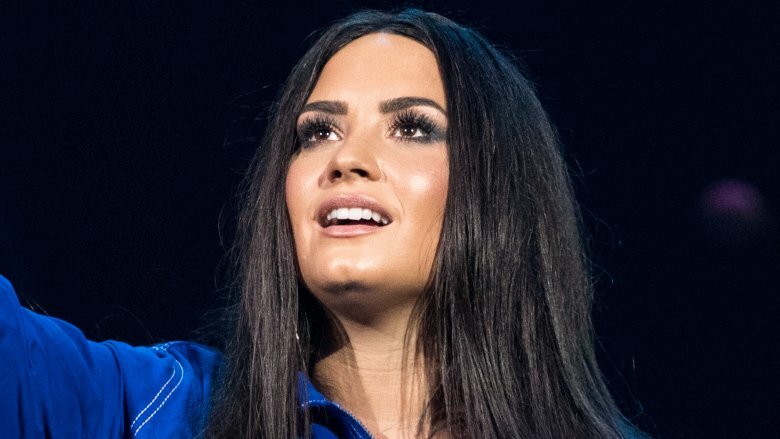 An insider concurred to People that the team that helped Lovato get sober "severed ties" with her, while insiders told Radar Online that Bayer and the CAST staff understand Lovato is sick and hold no ill will against her, despite scrubbing her name and connection to CAST Centers from the website. At that point, members of her professional team, including longtime manager Phil McIntyre, were reportedly so furious that they almost quit. McIntyre says in the documentary that he teamed up with sobriety coach Mike Bayer and the rest of Lovato's entourage to stage an intervention. "I worked with everyone on the team — business managers, agents, attorneys, everybody, to say, 'If Phil walks, we walk.' This was the showdown of all showdowns," McIntyre says. Bayer recalls that he told Lovato they'd stay if and only if she destroyed her cellphone, which had drug dealer contacts stored within it. She dropped it into a vase of water in front of her team in an effort to save herself. Lovato also admitted on The Jonathan Ross Show (via the Daily Mail) that her family said she would be cut off from her younger sister, Madison De La Garza, if she didn't get help. That was apparently the push she needed to clean up her act. 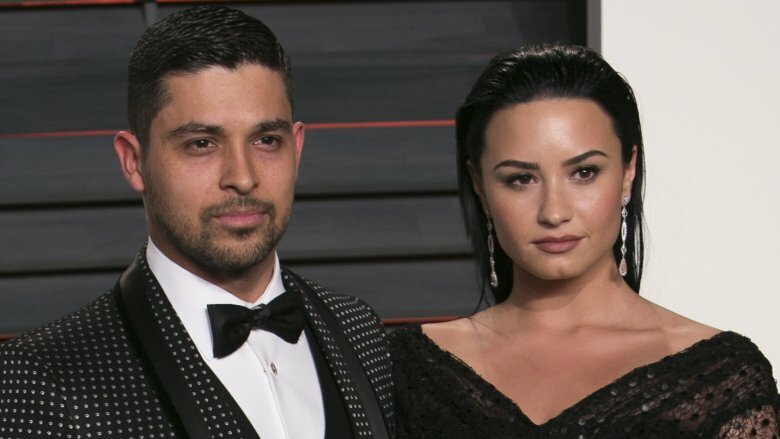 Actor Wilmer Valderrama, who Lovato openly referred to as the love of her life, was reportedly taken aback at her overdose. "He knew she was going through a tough time but he wasn't prepared for this," a source close to the That '70s Show star told People. "He saw her through so many ups and downs and was her rock through some of her darkest moments. To see her back in such a sad and vulnerable place is heartbreaking for him." Lovato and Valderrama split in June 2016. She previously told Cosmopolitan that whenever she and Valderrama had "off-again" periods, it was because she was relapsing. "The only times we ever broke up were when I was relapsing, whether it was drugs or in a bad place and rebelling against everybody, not just him," she told the magazine in September 2015. "People say that relapses happen before you use. Your mind starts setting up the relapse before you take that drink or that first hit. The times we'd broken up, I had already gone to that place of, 'Yeah, this is what's happening.' I didn't realize it at the time, but I just wanted to sabotage everything around me so that I could sabotage myself." To date, Valderrama has not publicly commented on Lovato's overdose.